Where Does the Micro-Factory Fit in the Sourcing World??? Have you been to an apparel show or textile technology show recently? Seems like every show is enthralled with the "Micro-Factory", the industry’s shiny new object. It is exciting to finally see significant technology changes in the way we design product, color fabric and cut the pieces of apparel and home products. All of these wonderful demonstrations still beg the question: Where does the Micro-Factory fit? Hundreds of millions of dollars have been spent over the last 20 years to perfect digital printing, visual design, robotic cutting and new technologies for sewing. Yet with all these investments the question of where the Micro-Factory fits and its ultimate purpose is still shrouded in mystery. Is this new paradigm the forerunner of mass customization or is it just a little production site for samples. Now is the time to clear up that mystery and look at the purpose and goal of the Integrated Micro-Factory. The primary function of the Integrated Micro-Factory is to convert a digital Virtual Inventory in to a physical inventory on demand. That reality allows a direct connection between the production of product and the demand of the market. This function give sellers the ability to switch sourcing away from the risk of supply searching for demand to a real-time relationship between consumer demand and timely product production. In the simplest of terms the purpose of the integrated Micro-Factory is to create a selling environment that is, “never out of stock, or never overstocked” by removing on-hand inventory risk and cost. The goal of the integrated Micro-Factory is one simple word profit. The big difference is where the profit comes from. In the traditional sourcing model the profit is determined to a great extent by the cost of goods. The problem with forecasting cost in today’s real time world of instant trends and saturating news is ordering inventory months in advance of sale. Ultimately this time gap leads to high risk of trend shifts and unanticipated over stocked "duds" or under stocked “hot SKU’s”. These common conditions can change the cost to profit ratio dramatically after the product is on hand. Since, most manufacturers offer lower per unit price based on volume, pursuing traditional volume discounts increases the probability of overstocking and the resulting clearance discounts and profit loss. Pressing for lower cost also drives lower labor costs and poor labor conditions that can result in lower quality, environmental disasters and bad press or worse. The Integrated Micro-Factory deals with each of these profit losses. First, the virtual inventory can be converted to physical product and restocked based on actual sales, which eliminates profit stealing clearance discounts. Second, higher profits based on better sales velocity and sustained retail price can support better labor conditions. Third, the cost of product digitally colored and produced on-demand in an integrated Micro-Factory is always fixed regardless of decoration or color allowing for extraordinary decoration agility and digitally exact quality. In addition, most micro-factories operate with no emissions, no use of water or emission of toxic waste. Another amazing side benefit is that in some multicolored apparel designs digital printing can reduce sewing labor up to 35%. 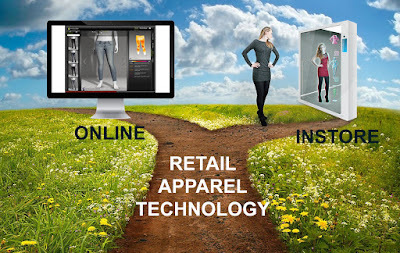 A demand-based virtual inventory converted by an Integrated Micro-Factory allows the retailer, e-tailer or brand to produce exactly the required amount to initially stock the shelf and then only replenish what is sold. This positive control of the real-time product life-cycle and the ability to replace a non-selling SKU without a loss from dumping the held inventory usually results in a dramatic multiplication of profit regardless of a slightly higher per unit cost. Positive real-time control of on-hand inventory by linking it directly to the demand driven Integrated Micro-Factory is the fundamental feature of demand sourcing. In order to construct and demand sourcing infrastructure the selling entity whether it is retail or e-tail needs to complete three basic pre-activation tasks. Profit Lifecycle track: Average selling price per unit sold vs total units contracted plotted by week. Build or source an Integrated Micro-Factory that can provide no minimum replenishment of targeted silhouettes with variable decoration on demand. Negotiate a “Style Contract” for the on demand delivery of the total period volume of the targeted silhouette based on SKU’s from the Virtual Inventory. Test the selected greige fabric fit pattern construction of the offered sizes and/or shapes of the physical production silhouette. Install the software and communication links to facilitate POS based product lifecycle replenishment. 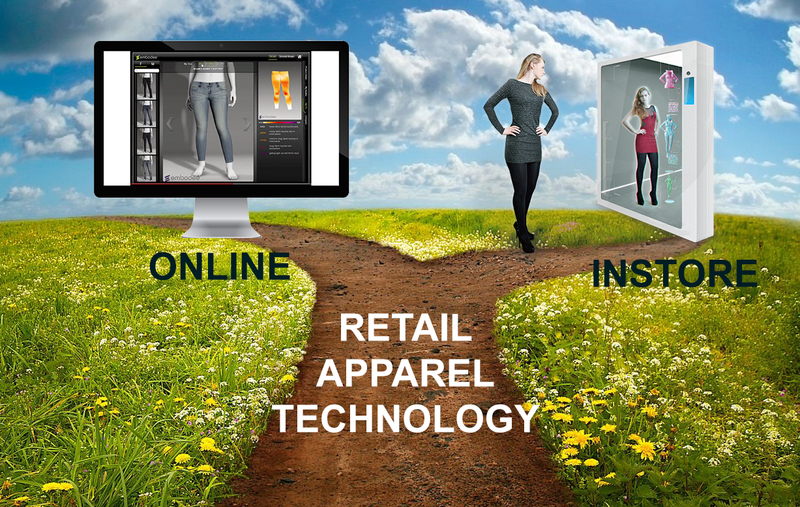 The next step is to establish the product in-store and /or online. Using the product information from the TekPaks and the high resolution images from the visual design software build the Augmented Reality (AR) tool needed to portray the product both in-store and online in 3D/360° visualization. It’s likely that your risk analysis tools will lead to the conclusion that printed designs represent the highest risk. These are the products that will eventually have to be put on deep clearance because of sold-out sizes or unpopular decoration. It is important to remember, that integrated Micro-Factory demand production does not fit for all apparel products, therefore; it is important to use the profit risk analysis tools to select just those silhouettes/SKU’s that fit in a demand sourcing profile. Micro-Merchandising is shorthand for integrating the advantages of the virtual inventory and demand production to focus on niches that can represent high velocity inventory sales focused on short trends or localized opportunities. Because production can match the velocity of sales trends without the risk of volume buying and long production lead times. Buyers and merchandisers can turn on a dime to take advantage of hot events or subjects that drive the market through today’s instant communication. An additional value of Micro-Merchandising is that retailers can focus on a more timely entry of fashion decorations that match local seasons and events. In this time of wild climate changes spring season and spring fashion do not arrive at every locale right on schedule. Where Can I Learn About the Technology of Real-Time Demand Sourcing? In summary, finding the proper role and location for Micro-Manufacturing is ultimately as important as finding and adopting this new technology. Integrated micro manufacturing depends on building an understanding of virtual inventory and the tools that you use to build the appropriate and efficient demand to support the factory. Many of the vendors who provide the technology for micro-factories are beginning to understand that integrating their technology for demand production with the techniques and software that support demand sourcing is critical to the continued pursuit of domestic production and apparel profitability. In addition, some of the shows and conferences in 2019 are recognizing the importance of demand sourcing along with demand manufacturing. WTiN's Innovate Textile & Apparel Americas 2019 (ITA) on May 1 thru 3 will feature both Micro-Factory and the supporting itegration technology. This August, INFORMA’s SOURCING at MAGIC in Las Vegas will feature both micro-factories and training in the tools for Micro-Merchandising and Demand Sourcing. Attendees will have the opportunity to learn the details of risk assessment methods, style contact structures and AR product visualizations. Support is always available from AM4U, Inc. the leader in Integrated Micro-Factory and Real-time Demand Sourcing development. Contact bgrier@am4u.com check out the Principles of Demand Manufacturing and related videos at AM4U.com. The time has come to shift the focus of the apparel trades from developing new manufacturing technology to the adoption of today’s technology in a new paradigm of sourcing. 2019 will be a critical year in the adoption of digital textile printing. Hundreds of companies have spent countless millions of dollars developing high-speed digital printing, visual textile cutting, sophisticated production software and now we are even seeing the initial entry of robotic sewing. Although, these companies have reached new heights in technology and sustainability they have done this by climbing the innovation stairway in their own silo. Few of the innovators are concerned with the fact that knitting, weaving, coloring, printing, cutting or sewing are just part of a complex choreography of different technologies required to produce a finished textile or apparel product. Because of this isolation, the companies have often failed to create the integration needed for a complete supply system. Building these significant technological machines and then failing to connect them is much like a village without roads or communications. This lack of internal connection whether in the form of a demand micro-factory or a mass-producing digital factory is but one of the major roadblocks that need to be faced in 2019. Companies need to seriously invest time and people power in using their attendance and participation in the glut of technology shows and the show-and-tell conferences to talk to each other about seamless integration. Creating communication standards and compatible software along with a holistic view of the entire manufacturing process will allow potential customers to visualize their entire expense and the huge profitability that is clearly on the horizon. Over the last 26 years of advocating demand-based production for individual consumers or replenishing products sold at retail I've seen hundreds of entrepreneurial dreams crushed. Potential customers were sold a piece equipment or software that was not compatible or didn't match their specific plan. There is no blame to attach to this problem companies need to sell what they make but, they must recognize that these products do not stand alone they need to interface in an entire system. Because the technologies at each station in the complex track of production are different, companies need to use shows and conferences as points of cross-communication. Failure to strategically understand this market will extend the time required for companies to realize the return on their investment in digital technologies. Companies that understand this requirement for mechanical integration and the seamless transfer of digital product information will be the first adopted by the industry. Whether companies take this path through M&A or through the much less costly approach of education and cross functional analysis and partnerships, the goal for 2019 is clear, the industry must focus on adoption of digital technologies and it's functional partner of demand manufacturing. A second roadblock in the path to adoption is that there is no road to the source of funds. The technology companies have built a beautiful edifice focused on manufacturing, but there is no road for the brands or the retailers to approach this paradigm changing structure. In fact the retailers who deal directly with consumers that generate the funds have been left out of this technology revolution that offers so much promise for the manufacturers. This is more than just a technology disconnect, the players don't even speak the same language. The printer manufacturers are still keeping score in square meters per hour while the retailers only want to hear about sales per square foot. Although consumers have access to inventories through the Internet much of the visual and virtual capabilities of the new technology are not connected to the retailer or e-tailer at the B2C level. If one tenth of the funds that have been expended on the technological developments of digital color, visual recognition and repetitive automation had been spent on AR for the consumers or AI for the buyers, apparel retailers would be thriving today. This year shows like SOURCING at MAGIC will begin the difficult task of bringing together retail, brand and manufacturers to demonstrate the use of AI and AR in integrating demand manufacturing, demand sourcing and demand merchandising to create a profitable domestic enterprise. Our country can only reconstitute domestic manufacturing and revitalize domestic retail by creating more profits in the apparel trades. This will not be accomplished through a focus on finding cheap labor and lowering cost of goods. That can only result in lower quality, poor working conditions and more pollution. The US is still a nation of consumers whether in-store or online the key to greater profits is to make what we sell and sell what we make. Today we risk guessing what will sell 12 months in advance and then selling only about 25% at the retail price projected. There is no way cost-cutting will solve this endemic structural weakness. Import, discount and dump is not a viable business plan. We need to spend dollars and time connecting what sells directly with what we make. The focus needs to be on including the consumer in the visual experience of choosing garments then using AR to try on their choices. This information and the ultimate purchase can be much more accurate than 12 month projections. Feeding an AI system real-time sales data that drives a network of demand manufacturing that produces targeted replenishment is much more profitable than clearance discounting. This is not a dream far off in the future our actual tests show a small micro-factory could deliver five day delivery to replenish the actual sales of licensed printed children's sleepwear to over 200 stores. 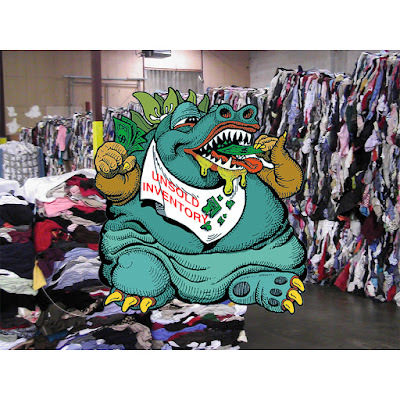 As the bulk of our clothing gets more casual and more colorful we are at a crossroads to decide whether import, discount and dump or targeted demand merchandising driving demand manufacturing is the path to a sustainable future for this recoverable segment of our economy. Some companies are trying to bridge the gap between technology silos and a few are even reaching out to add merchandising into their portfolio. Some like EFI and Dover are adding by M&A. Others like Tukatech are building from within and focused on designers and service centers. Gerber Technologies is using both M&A and technology partnerships to connect with both printing RIPs and consumer online software. Retail and brand customers will see some of this merchandising and adoption technology at SOURCING at MAGIC, February 4-7 in the South Hall at the Las Vegas Convention Center.